We were all packed and ready to go. First it was the weather report on TV. "The Bahamas are batten down the hatches," she said. I swallowed hard and thought - well, we'll be stuck inside. There's still things to do inside! Driving down to the airport I started googling this storm they were talking about. Then it became a discussion. I was reading "please reconsider travel plans" on the Atlantis website...and "risk of airport shut downs"...and "some entire caribbean islands are without power." As we pulled into parking, we had already decided. 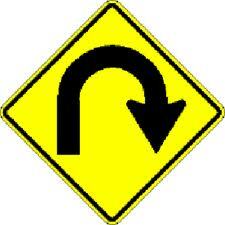 We made a U-Turn. Ed is extremely disappointed. He was very excited for us to swim with dolphins and enjoy their amazing zero entry pools and even go jet-skiing. Me? I was bummed, for sure, but I tried to keep the spirits up as we planned our next move. I felt confident in our joint decision to cancel the trip - it wasn't worth the risk. We got the majority of our money back so that wasn't a burden. I just think there are worse things in life - and we've lived through many of those things already. The rest of the day has been a back and forth volley of destination ideas. Problem is, we have opposing ideas so we've yet to come to a decision. I decided to call it off for the day - if we go anywhere, we can leave in the morning. This day turned out to be pretty stressful after all. Cancelled trip due to Category 4 hurricane Irene in the Bahamas. Came home to an earthquake. I'm now waiting for the locusts - I know they're coming.